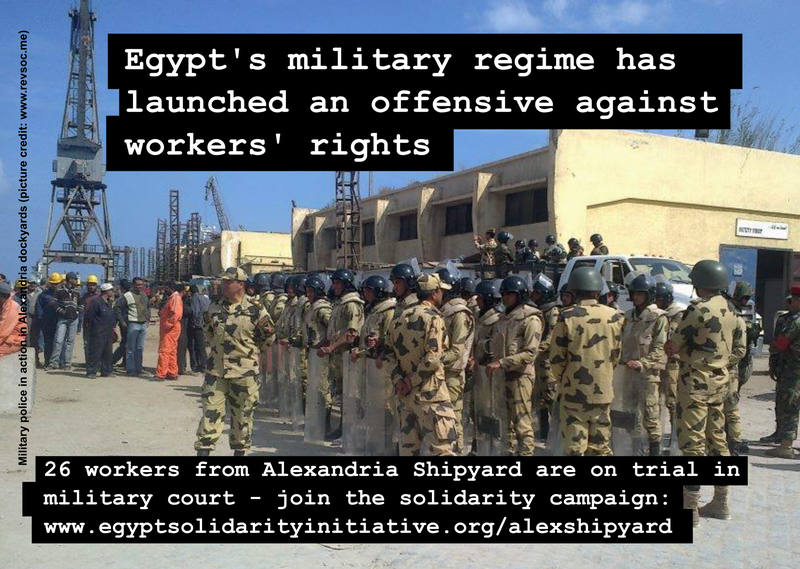 Workers from Alexandria Shipyard will be forced to wait another month to find out the verdict in their trial before a military court on charges of “incitement to strike” and “refraining from work”. Military judges in Alexandria once again postponed the hearing in their trial until 18 October. Twenty-six workers from the shipyard are on trial and 14 will endure another month in police custody. The case has sparked widespread condemnation within Egypt, and an international solidarity campaign which is backed by trade unionists from Korea, Greece, the UK and many other countries.